Flying via Aéroport international de Genève is generally hassle free with quick check ins and easy ground transportation to Geneva, Lac Léman towns, and Alpine ski resorts. Geneva International Airport (GVA) is very conveniently located on the outskirts of Genève right on the Swiss-French border. 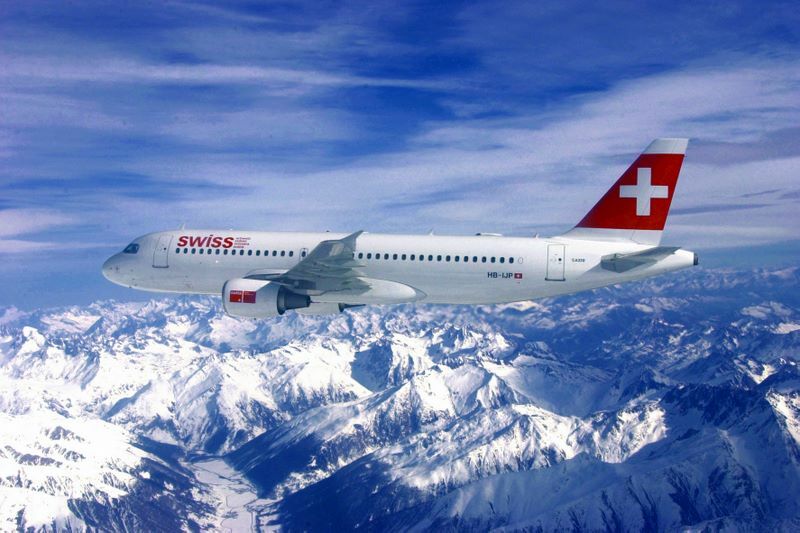 Many airlines fly to Geneva with the number of flights particularly high over winter weekends when skiers arrive to travel to winter sport resorts in both France and Switzerland. Low-cost airline easyJet is the largest carrier operating from Geneva Airport but Swiss and other major European airlines also fly from here. Transportation to Geneva Airport is easy by bus, train, and car with transfer services to many destinations in Switzerland and France. Airport shuttle bus services are best booked well in advance and compare rates to get the best prices. Taxis from the airport is significantly more expensive than to the airport. Geneva International Airport (GVA) is the second largest airport in Switzerland and used by over 11 million passengers each year. The airport is located in Cointrin on the outskirts of Genève city, right on the Swiss-French border. Window seats are a good choice as the final approach to Geneva Airport is often over Lake Geneva with the Alps to the left and Jura Mountains to the right of the plane. Geneva Airport not only serves the city Genève but is also a major arrival point for travelers heading to Swiss and French Alpine resorts. The number of flights increases dramatically during the winter sport season with Saturdays particularly busy. Direct flights go to 100 destinations worldwide from Geneva Airport. GenevaAirport is not the most exciting airport in the world but it is clean and efficient with all the standard airport facilities including free Wifi. Food and drink are expensive even by Swiss standards – if on a tight budget use the Migros supermarket at the train station for supplies. Travelers are locked out of the terminal building between midnight and 4:00 am. Geneva Airport is shared by Switzerland and France. The airport has Swiss and French sectors with the Swiss (or international) sector the larger and more important part of the airport. Immigration control is unified as both France and Switzerland are parties to the Schengen Agreement but customs checks are possible between the two sectors. All public transportation including buses to French towns depart from the Swiss part of Geneva Airport. Most travelers arrive and depart from the Swiss (or international) sector of the airport but flights from Geneva to airports in France are considered domestic flights and require passengers to check in in the French Sector. The connecting door for the French sector is at the far northeastern part of the airport building – opposite the exit to the railway station on the arrivals level or near the Air France, British Airways, and KLM check-in counters on the departures level. Crossing between the French and Swiss (international) sectors of the airport is no longer the hassle it used to be but customs checks can stil be made at any time. Transportation to Geneva Airport (GVA) is very easy from Genève city as well as many parts of Switzerland and France. Driving, buses, taxis, shuttle services, and the train are all great options for getting to Geneva Airport. Arriving passengers may take a free “Tout Genève” public transportation ticket valid for 80 minutes to all destinations in Geneva from the vending machine in the luggage claim arrivals hall. Geneva Airport is directly connected to the highway Autoroute A1 and can also be reached by regular roads for cars without a highway vignette. Metered taxis from the airport are more expensive than taxis to the airport. Geneva Airport station is in the basement of the airport making the train often the fastest and easiest way to reach the airport from most parts of Switzerland, including transfers to Swiss ski resorts. Train schedules and tickets are available online from Swiss Railways. Getting to Geneva Airport by public bus is often the cheapest and most convenient way from many parts of Genève. Buses 10 and 5 connect Geneva Airport with Geneva main train station at Cornavin while buses 23, 28, 57 and Y also pass by the airport. Many buses are available to destinations in France including Annecy, Chambéry, and Grenoble with further buses and trains departing from Geneva train station. The number of ski transfer services is much higher during the winter sport season. All bus transfer services depart from the Swiss sector of the airport.